The Idaho Retriever Club (IRC) is the oldest Retriever Club in the state, encompassing Boise and a large surrounding area. We are a non-profit group with a diverse and dedicated membership of approximately 65 - brought together by our interest in working retrievers. We welcome members at all levels of experience, from the first-time retriever owner to those competing at advanced levels. IRC has an annual meeting and banquet each January. Board meetings are held as needed, and any member may attend. We hold field events from February through September each year which include Picnic Trials, AKC Hunt Tests and Field Trials. 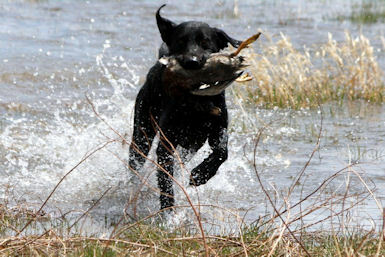 If you are new to the retriever game, read more about these events on our Events page. Attending as a spectator is also a great way to learn more and determine your interest in getting involved!